Whats the odds? Im trying to figure out it say for a chance at a free player. However o-23 with guys on the squad i play on. Most of the events weve played about 150-200 in bakahtari and no one has gotten free player. Is it 1-1000. 1-100000? Add 35 more times played and nothing but badges. Same problem/question... why are we spending 100 currency to get between 1-5 badges that's ridiculous. Meant to bring it up during the SB event. Make these rewards static give 5 or 10 not a chance of 1-5. 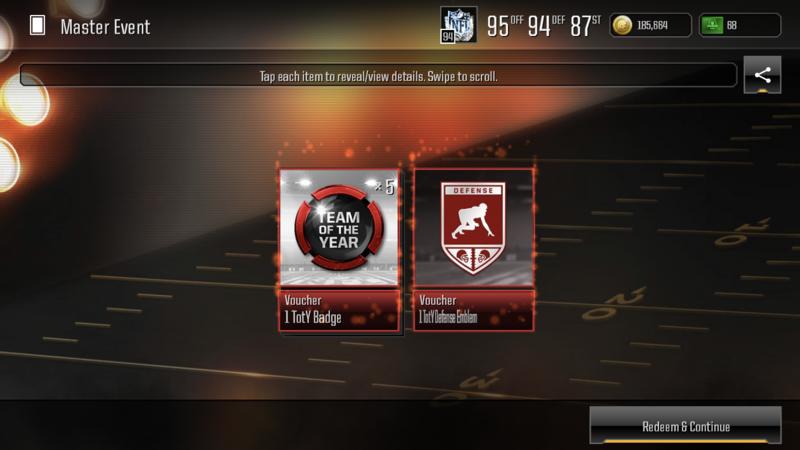 Nice, I was considering that 97 OT earlier today. Add 123 packs today. 1 emblem is it. got another one. 2 for 2 in the boom or bust. although it's the same player. FYI...I didn't spend money when I got that first one. 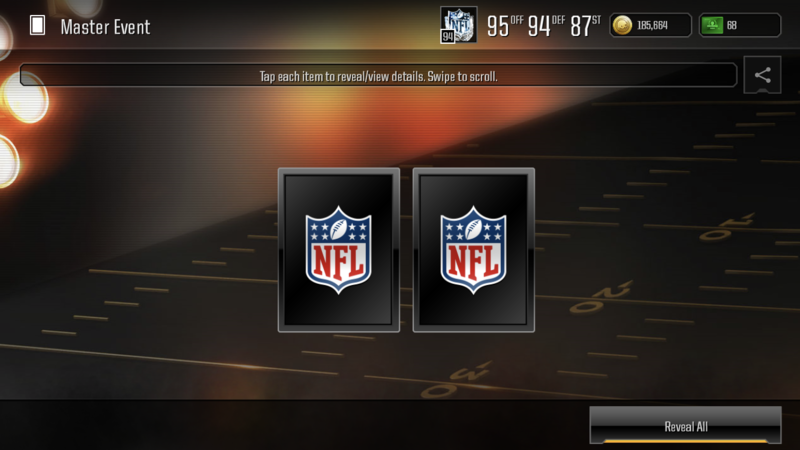 that was strictly from watching videos for madden cash. Bust for me... just now. Wait...How come I haven't been getting videos for Madden Cash?